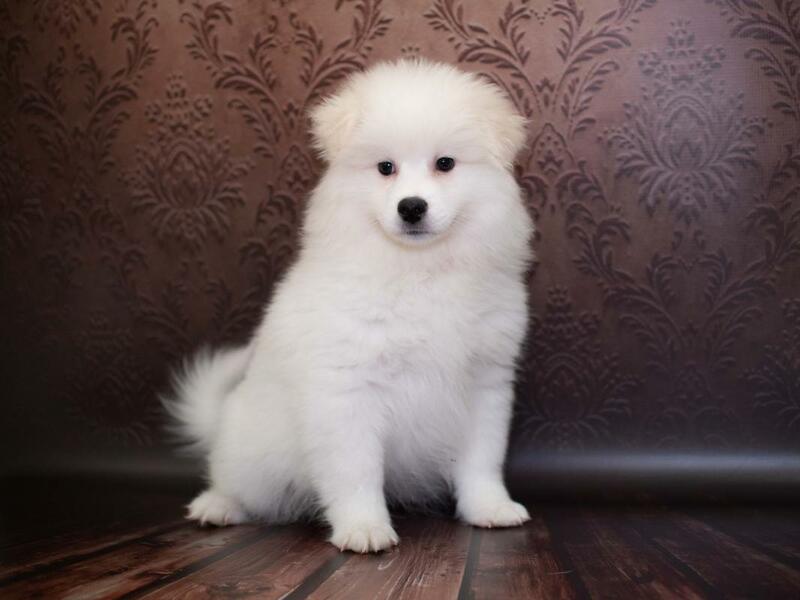 A small to medium-size Nordic-type dog, the American Eskimo Dog is known for its bright white coat, jet black points (lips, nose and eye rims) and erect triangular ears. Although once used as a circus dog, they are primarily companion dogs today and participate in conformation, obedience and agility competitions. The breed?۪s white double coat consists of a short, dense undercoat, with longer guard hairs forming an outer coat that stands off from the body. 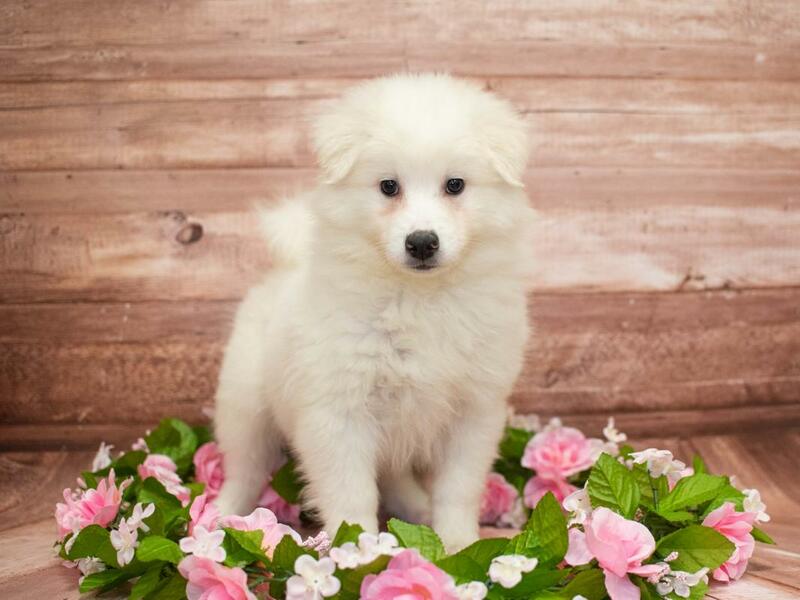 A member of the Spitz family, the “Eskie” descended from the European Spitzes, including the white German Spitz, the white Keeshond, the white Pomeranian and the white Italian Spitz. Contrary to its name, the breed has nothing to do with the Eskimo culture. During the 19th century in America, the breed performed regularly in trick-dog acts in traveling circuses throughout America, prized for their beautiful appearance, intelligence and agility. 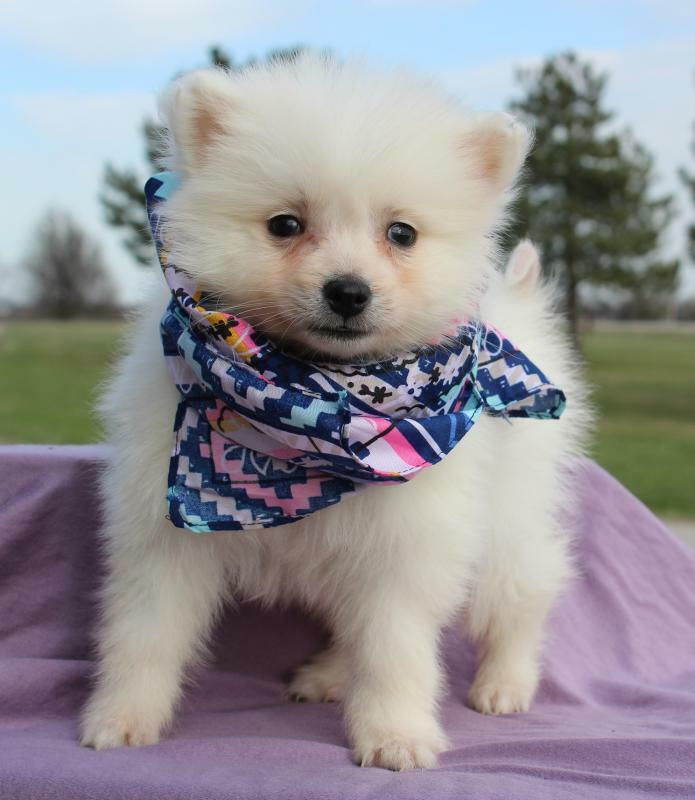 Intelligent, alert and friendly, the American Eskimo Dog is also an excellent watchdog, protective of his home and family. The Eskie learns quickly and is eager to please his owner, but requires daily exercise. Their voluminous coat sheds and needs to be brushed and bathed on a regular basis. Non-Sporting Group; AKC recognized in 1994. Divided into Toy, Miniature or Standard size, ranging from 9 to 19 inches tall at the shoulder. 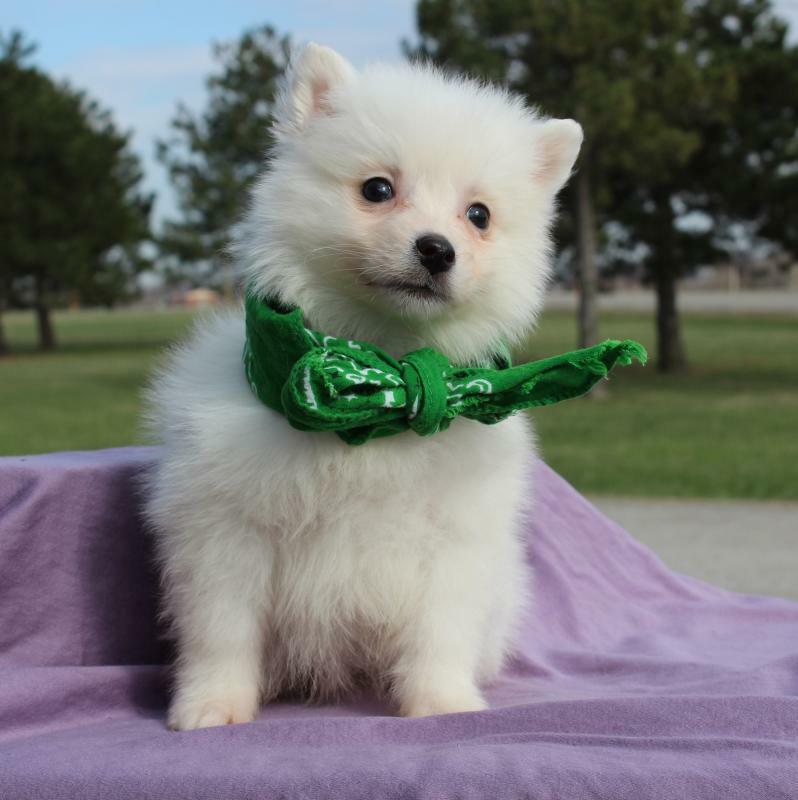 Are you interested in purchasing a American Eskimo?